Wake up at 5.30 am for a full breakfast and depart to Ngorongoro Crater with a packed lunch and after arriving, descend to the crater floor about 2,000 meters with an altitude of 1,980 ft straight up from the crater floor. 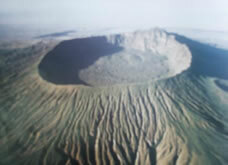 Ngorongoro is one of the world’s heritages as it was voted the eighth wonder of the world. Physical attractions include swamps, grasslands, woodlands, rivers, lakes and hills among others. Animals found include Elephants, lions, cheetahs, buffalos, gnus, hyenas and black rhinos among others. Ngorongoro supports such an amazing variety of animal life as if Noah’s Ark foundered here. 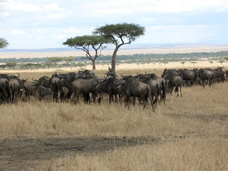 Proceed with the game drive in the crater till evening with dinner and overnight at a camp or lodge. Wake up at 6.00 am for a full breakfast and depart to Serengeti National Pack driving through a distance of 130 kms. 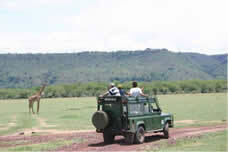 Arrive at the gate and begin a game drive en en route to the camp or lodge. Check in at the camp or lodge at around 1.00 pm time for lunch and relax till 4.00 pm where you will proceed for another game drive till 6.30 pm. Serengeti National Park is one of the largest parks in Tanzania and is bordered to the north with Masai Mara National Reserve in Kenya. It’s also one of the most visited, famous, and attractive and was voted the seventh wonder of the world because of the annual migration of the million wild beasts from Masai Mara in Kenya to the Serengeti plains. Serengeti covers an area of 14,763 km2. Physical attractions include rivers, swamps, plains, kopjes rocks, grasslands and woodlands savannah. Animals found are the big five ( Lions, elephants, rhinos, leopards and buffalos), giraffes, wild beasts, zebras, cheetahs, hyenas and Thomson gazelles among others. Dinner and overnight at a camp or lodge. 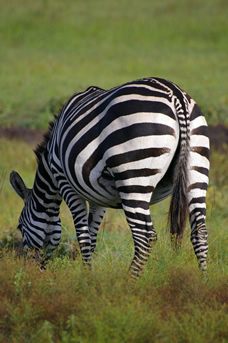 Wake up at 5.30 for a cup of tea or coffee and start an early morning game drive till 8.30 am time for a full breakfast. Proceed for a full game drive till around 1.00 pm time for lunch. Relax till 4.00 pm then an evening game drive till 6.30 pm. (There’s another option of proceeding for a full game drive with a packed lunch till 6.30 pm). Dinner and overnight at a camp or lodge. Wake up at 6.00 am for a full breakfast and depart to Lake Manyara driving through a distance of 220kms. Arriving at the gate, begin a game drive en route to the camp or lodge. Check in at around 1.00 pm for lunch and relax till 4.00 pm. Proceed for another game drive along the shores of lake Manyara till 6.30 pm then back to the camp or lodge for dinner and overnight. Lake Manyara covers an area of 330 km2 of which 200 km2 is covered by the lake itself. 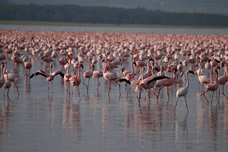 Lake Manyara is also an alkaline lake which lives millions of flamingos and different types of birds are also found here. Manyara is a Masai word meaning euphorbia forests which lies along the Great Rift Valley. Manyara also provides a perfect introduction to Tanzania bird life (over 400 different types of birds have been recorded including water birds such as pelicans, flamingos, comorans, storks, fish eagles and king fishers among others). Physical attractions include The lake, euphorbia forests, flood plains, woodlands and narrow belt of acacia among others. Animals found include elephants, the tree climbing lions, giraffes, zebras, impalas, water bucks, Kirk dik dik and klipp springer among others. Dinner and overnight in a camp or lodge. Wake up at 6.00 am for a full breakfast and depart from Lake Manyara to Voi in Kenya for lunch driving through a distance of 400 kms. Arrive late evening in your respective hotels. Kindly ask for the price and we shall get back to you as soon as possible. Drinks including sodas, beers, wines in camps and lodges, tips and personal items.